This is the one of several posts contributed by my wife. A regular segment on MyLifeOutdoors. A valuable resource to women (and their husbands) who love the outdoors (or who, at least, wish to love the outdoors). This is My Wife Outdoors. When I think of hiking I am transported to a place where life is simpler. Where all I have to worry about is my survival in the backcountry of some remote and beautiful location. I think of quiet time. I think of conquering physical limitations with pride. I think of mountain breezes. Beautiful pristine lakes without civilization ruling over every foot of shoreline. Summit Views. Sounds perfect? Well, as close to perfect as life ever really gets. There are some realities about hiking that bring me back down to earth from time to time. One particular issue that I have always had is blisters. It seems like I can’t hike more than 4 miles without developing huge painful blisters on the backs of my heels. I have done a lot of research on this. Especially after a painful Glacier National Park 5 day backcountry hike. My feet were so blister ridden that I could barely take another step for the last 7 miles. I would put my foot down with tears stinging in my eyes every single step. I am no wimp but foot issues have brought many of tear to my eyes. I have tried different boots, layering socks, duct tape, and all sorts of other foot healing voodoo. I began to question whether my foot was somehow horribly misshapen. I had finally reconciled myself to a lifetime of layering duct tape, hoping for the best, and ultimately suffering. Maybe eventually my heels would become so calloused blisters would become an impossibility? As a last ditch effort I finally tried a pair of WrightSocks. I did not expect much. I had lost all hope. My husband and I went hiking in the Pecos Wilderness a month ago and ended up plodding through miles of unexpected snow. After all the stepping in and out of snow I knew for certain that I would develop a hot spot and then a subsequent blister. I kept waiting and waiting for the burning to begin. It never did. After six miles of hiking through snow up and down hill, I never got a single blister. Surely this was just an amazing stroke of luck though. I reasoned that maybe my feet hadn’t been sweating in my boots. So I tried the socks again a few weeks ago in Big Bend. We did a 12 mile hike in one morning, up to the top of Emory Peak and back. I thought for sure that I would have killer blisters for the remainder of our Big Bend trip. To my surprise I was blister free and for the first time ever, capable of enjoying the rest of our trip’s planned hikes without being burdened by mangled feet. I was so relieved. I practically begged Steven to let me write this blog post. I can’t say enough good things about wrightsocks. I won’t ever hike without them again! 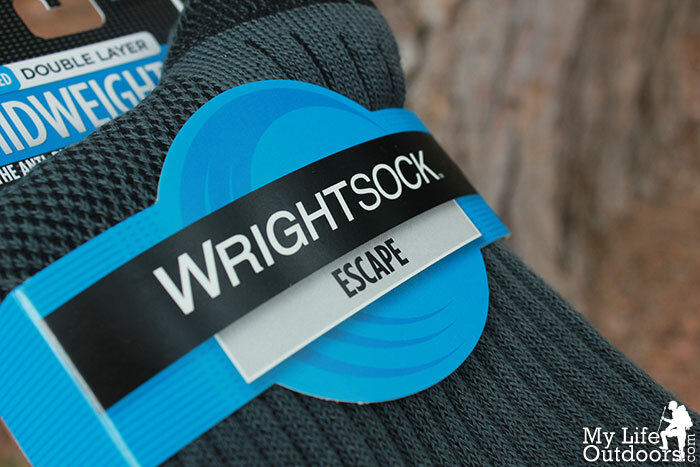 I don’t usually find myself being 100% pleased with many products but wrightsocks have changed my life. They have removed an element from hiking that has brought me so much discomfort. I look forward to wearing them on a backpacking trip to Yosemite later this summer and I have confidence that I can make the trip without failing feet. My wife and I received these socks for testing purposes from WrightSock. As my wife mentions above, they are truly are amazing. Their genius is credited to the Double Layer technology, essentially two socks in one. 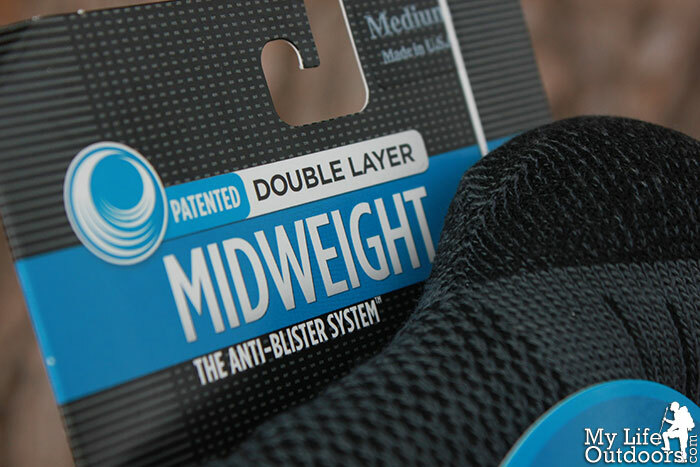 The double layer transfers the friction caused by hiking in-between the layers of the sock. Thus the sock rubs against itself, and not against your heel preventing blisters. WrightSock is so confident in their product, they have a No Blisters Guarantee. 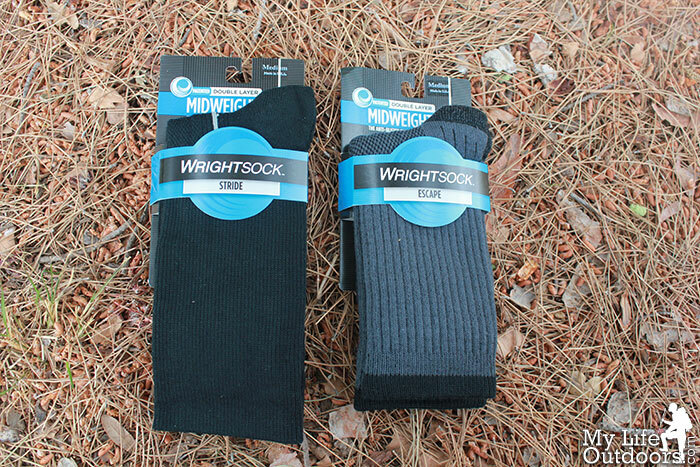 If you get blisters wearing WrightSocks, you get your money back. I was so impressed with them, that even though WrightSock sent me two pairs for free…I just ordered two more pairs on my own. These socks are the real deal. 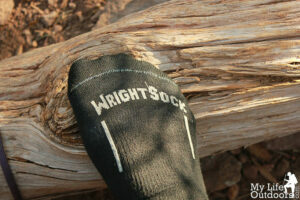 I have now owned and used WrightSocks for many years. While I can say these are my favorite and the only hiking socks I use. I have received blisters in them. I did not seek a refund (even though I believe WrightSock would refund my money) only because I still love the sock. Have you ever tried Smartwool socks? They are my personal favorite. I use them for hiking, running and skiing and never get a blister. Great post. I'm thinking I can use the Lite pair with my Merrell hiking sandals. Thanks.